Castillo de Monjardin is located in the northwest of Navarra in the foothills of the Pyrenées, not far from the French border. Originally, the castle of Monjardin was very important for the Kingdom of Navarra during the XII century under the King Sancho Garces, today it's a famous pilgrimage route from Paris to Santiago de Campostella. 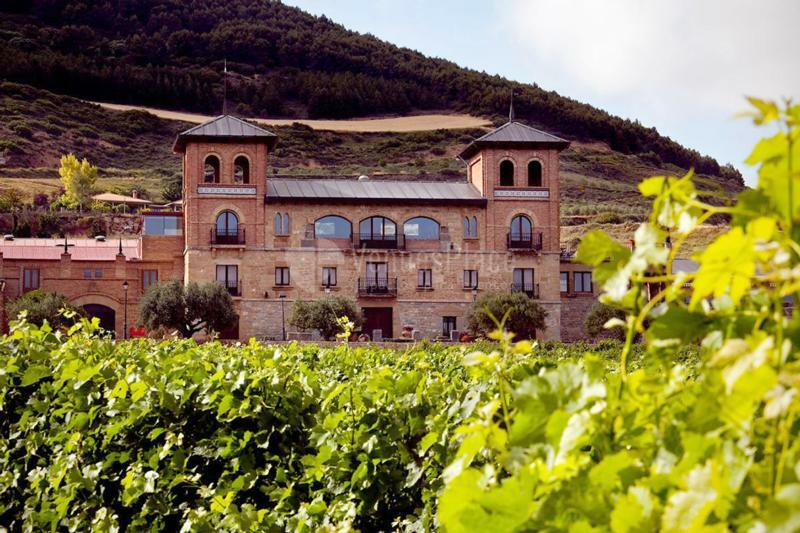 The proximity and historic cultural links to France provide a winemaking tradition based on Chardonnay, Cabernet Sauvignon and Merlot, distinct from the rest of Spain. Monjardín makes good use of the Garnacha and Pinot Noir that are fresh and fruit forward reds. During the last 25 years, we have been awarded with more than 100 Medals and publications. Monjardín's vineyards lie on sunny slopes at an average altitude of 1800 feet, and are cooled by the "Cierzo" wind. Our Family Estate has a total of 220 Ha of vineyards that aged from 15, 30 and 70 years old.